Vortex Springs & Components Pvt. Ltd is the one-stop destination where you can avail a huge assortment of Industrial Springs. The company is actively engaged into the business of manufacturing, supplying and exporting of Die Spring, Compression Spring, Conical Compression Springs, Disc Spring, Flat Spiral Springs, Custom Springs, Helical Torsion Spring, Spiral Spring, Coil Spring Wire, the best Spring maker, manufacturers and many more. The ISO 9001:2008 Certification also reflects the genuineness of the products and services offered by us. Adopting ethical business practices, the company has carved a niche as one of the trustworthy and best Spiral Spring Manufacturers, Maker and Suppliers in India. The company has also set a strong foothold in the India, by rendering quality and products and prompt services. Meeting the exact expectations of the clients have also resumed in the raising the bars of customers’ satisfaction. Last but not the least, we have made diligent efforts to provide advantageous deals and maintain long-term relationship with our esteemed clients. 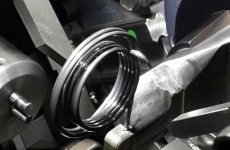 The organization has grown by leaps and bounds through its dedication as a coil and torsion Spiral springs manufacturer and supplier with international standards. Over these years, Vortex Springs & Components Pvt. Ltd has won the trust of its clients from a gamut of industries. With limitless passion to quality excellence, Vortex Springs & Components Pvt. 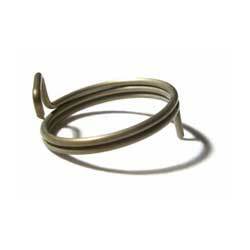 Ltd is one of the leading suppliers, maker and manufacturer of springs in India. 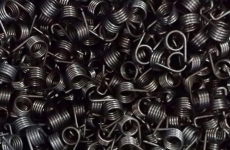 We offer both custom and stock springs, including the best Spring Manufacturers, Compression Springs, Custom Springs, Spiral Springs, Die Springs, Extension Springs, Torsion spring, wire forms, conical, helical, and vast variety of springs. 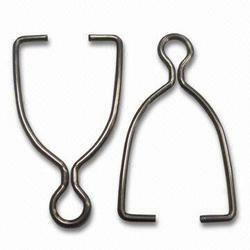 Wire Forms typically are parts made from round wire that is formed to have specific angles and lengths. Torsion springs are found in clothespins, window shades, counterbalance mechanisms, ratchets, hinge and various other machine components. 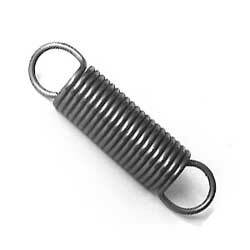 Vortex Spring specializes in short-run, quick-delivery; cold-wound, custom springs from .008″ to .750″ in wire diameter. Extension springs, also called tensile springs, are found in many applications, such as a common household stapler, snow plows, garage doors.. I am a manufacture of a toy company. We needed springs in many ways but they should have good quality and accurate size, Vortex gives me what I want. My company is manufacturing the automobile parts, for me quality is the superior one that why my expectation level is very high. I must have to say Vortex serves beyond my expectation level. Delivery of any product is very important, I love to see how others react likely to serve it. But Vortex serves it very well or I say just on time. Over these years, Vortex Springs & Components Pvt. Ltd has won the trust of its clients from a gamut of industries. With limitless passion to quality excellence and by offering an assortment of products. Vortex Springs & Components Pvt. Ltd. would strive to be no.1 spring manufacturer and spring suppliers in Delhi. With a vintage of 30 years in the industry and its base in Delhi. We knows the cost of time for our valuable clients. We always deliver the products on time. Torsion springs are found in clothespins, window shades, counterbalance mechanisms, ratchets, hinge and various other machine components. They are also used as couplings between concentric shafts such as in a motor pump assembly. 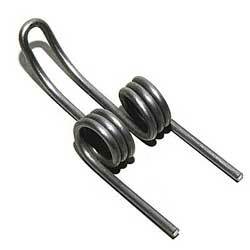 Torsion springs are generally mounted around a shaft or arbor, and must be supported at three or more points.